RV-Dreams.com Home -> RV-Dreams Community Forum -> Community Chat -> Where Will You Spend Winter? TOPIC: Where Will You Spend Winter? We will be seeing cooler weather than we like but will be racing for the boarder as soon as the retirement party is over. We'll jump the "wall" and be in Mazatlan, Mexico to enjoy the sunny weather as soon as we can get there. What are your Winter plans this year? We are in Mesa, Arizona. Hopefully no more hurricanes coming across the Baja and a return to dry conditions. We are slowly rolling towards Casa Grande Arizona. Have reservations starting November 1st. Right Here in Middle Tennessee! We arrived in Mesa Arizona yesterday and had dinner with Barb and Dave. Great food and great conversation at their place. Now to furnish the park model, move in and put the motorhome in storage until a December trip to be with family for Christmas. Slowly heading south, we'll leave Sacramento this weekend after nearly a month of perfect fall weather. Heading the Central CA coast, then Vegas so we can fly out for some family visits, then finally south to AZ where we'll be all winter. Splitting time between Tucson, Mesa, Quartzsite and other as yet to be determined locations. We still haven't decided we need to stay in one place for longer than a month at a time! On the Central California Coast unless it "warms up" for short periods along U.S. Hwy. 395 around Bishop and Lone Pine. Haven't decided yet. We're headed for Cincinnati, OH, right now for the birth of grandbaby #14. We have long-term reservations through mid-December, but can bail before then if it gets too cold (without financial penalty). We have to be in Augusta, GA, sometime in January for semi-annual medical/dental stuff, but we haven't filled in the blanks between these obligations, yet. We will be at our annual park-hosting gig at the Inks Lake State Park until January and then go to the (hopefully) warm Rio Grande valley in Texas. Hey Jay and Stella, Have you been following the news of flooding in the Highland lakes? The Llano river is experiencing record flooding this week. Although the Llano flows into the Colorado river below Inks lake, I think Inks is experiencing some flooding also. How long have you been hosting there? When I retire my wife and I plan to start our RV journey hosting at Texas state parks. We are spending the next four months in San Antonio, TX. Minimum! I will be heading to Ontario with my dog on board, I just hope that he won't create a mess on my car. I don't want to use a dog cage as it will take up some space inside the RV. Happy Holidays in advance! We'll be spending the winter in Naples, Florida. We come back for Thanksgiving and Christmas only. We had a boat slip at the LBJ Yacht Club and Marina for many years ... so very familiar with Inks (just above LBJ). That area has taken a real beating from floods ... are your plans still the same? We head for Texas in early November. Church conference in Plano, then coach service in Nac. Hope to spend the latter part of November and all of December at the Escapees park in Hondo. In January we move to Hobbs, NM for a Habitat For Humanity build. Have you ever stayed at the Escapees park in Hondo? Sorry for being late to answer. Yes, our plans haven't changed. This will be our 9th year at Inks lake and I'm not about to let some bad luck change anything. I've spoken to some of the park hosts that are already there and although the park has been evacuated to guests, the hosts and staff are still there. The water is receding and we are hopeful that everything will be back to somewhat normal when we arrive in a couple of weeks. It has been a rough year for the area. They had a fire in June that damaged some of the deer habitat and two deer blinds and now flooding. We are predicted for a bad winter, so what else can it be, locusts? Ha! As a Texan, we describe our weather as a drought interrupted by periodic floods. Sure seems that way lately. Stay safe! We like Superior. The Home tour in January is fun. Boyce Thompson Arboretum State Park is a great place and we often end up annual members. Unfortunately I'm going to be here in the Middle of the Mitten for the cold and snow - thus the reason I want to get an RV in a couple of years. We hope to leave Elkhart this week for Apache Junction, Quartzsite and maybe Yuma. 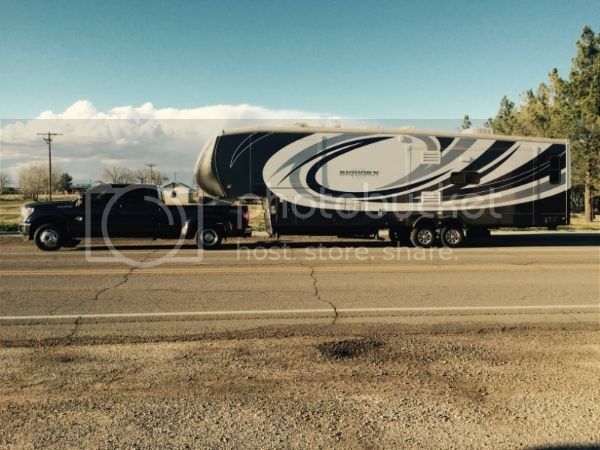 Butterfield RV Resort in Benson, AZ for December through March. We have friends that are Assistant Managers there, and it will be our first time staying in one spot for the winter in many years. We're only speaking at one RV show (Grand Rapids, MI) this winter (so far) as opposed to seven last winter. We made it to Inks Lake and were glad to see that almost everything is back to normal. The grounds around the lake are still very soggy, but only a couple of camping sites are still closed. We're apprehensive about the deer hunt because of fire damage, but it should rebound well. We did Mesa last winter - it was GREAT!! The weather could not have been more perfect. We hope to do something different every year, so this year it's Dickinson, TX - and four months instead of three that we did last winter. Love seeing where everyone stays - gives ideas for upcoming winters. Thanks!! Julie and Ray, Dickinson was our hometown before going full time. We still visit there for doctor's visits. We will spend the month of December in South Florida visiting family for the holidays. Then head back to Oklahoma to pick up our RZR and head to Arizona for Jan/Feb. Looking forward to some desert riding! Jay- We are looking forward to our winter in Dickinson. Looks like lots to do within a reasonable drive. Thanks!!! It looks like I'll be staying in Fontainebleau State Park and Fairview State Park (both in Mandeville, La) through January while I finish up with my business affairs before leaving on our FT adventure. These are beautiful, wooded parks right on the water and the rates are fantastic. With my America the Beautiful senior pass, staying the 14 day limit at both parks will only be $364 (which includes taxes and reservation fees) for the entire 28 days, including electricity. Use of washers and dryers are free too. The only negative is they only have limited sites with sewer, and none were available, so I'll need to dump at least once a week. We plan on traveling to the Rockport TX area in February to winter over there. We don't like to stay in the "parking lot" type parks where rigs are packed tightly in a straight line with no trees, green space, etc. There are some nice private RV parks we're looking at that have more shade trees, open areas and wildlife that also have reasonable winter rates. Though we haven't decided yet, there are a few on our short list. From an internet search of the park's websites we like: the Estes RV Resort, the Route 1069 RV Park, and the New Season RV Resort. But being newbies, it would be great to hear from someone who has stayed at any of these parks or similar area parks. Does anyone have a recommendation for this type of RV park in the Rockport/Corpus Christi area? We would even consider one closer to Brownsville that had reasonable rates with lots of green space and trees. Well, plans got changed. We had our conference in Plano and the service work in Nac. However, Hondo is full with leaseholders, so we decided to go up to Georgetown Lake. We're at Jim Hogg for now, and we have been told that we can extend our stay, so we're going to work on that. We still need to be in Hobbs, NM in January, but since it is an easy two-day drive from here to there we'll try to figure out whether to stay here until after the first and then drive there or whether to split the trip into two parts. If your going to Hobbs NM I hope you have a spot to park your RV, just about every spot in a 200 mile radius and more to the south of Hobbs will be full. So you might check before you go. We have a spot at Hobbs - at the Habitat campground. We'll be doing RV Care-A-Vanner work there for a couple of months. I started this thread a few months ago thinking I knew what our Winter plans would be. Apparently the crazy Ranger's have to find a new set of plans for our Winter. We've sold our condo in Mazatlan and will be returning to the states at the end of January. It's back to the motorhome.... plans to follow. "returning to the states at the end of January"
You do realize that February is the hardest month to get a camping spot in snowbird areas? After the sale of the condo we will be "homeless" in Mazatlan. 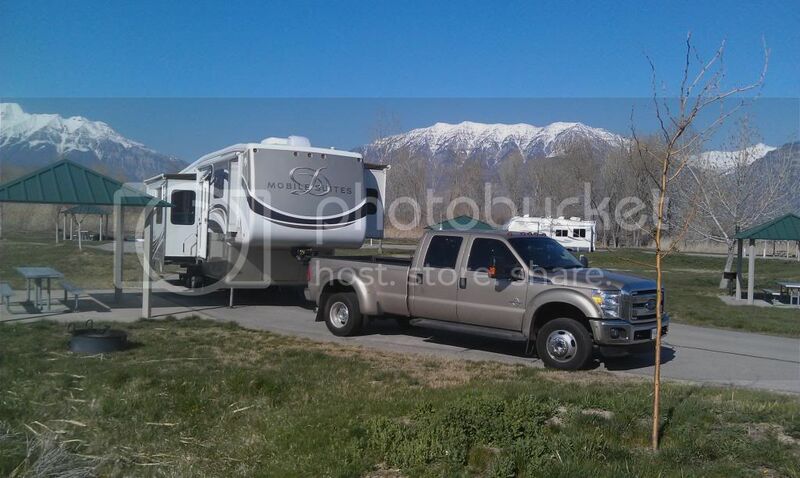 Our motorhome is in storage in Tucson and we will be returning to begin living in it. I'm OK with boondocking so that may be a place to begin. I know that February and March are prime season in Arizona. Perhaps we can hop from park to park as there are openings available. Buckeye also has several county parks we may use. After all these years it may be time to go experience Quartzite for the first time. Life is good....let the adventure continue.